We love window films! And we take pride in the films that we offer. We are constantly researching the most state-of-the-art window films to make sure we can always offer the most cutting edge films on the market. Below you can learn about the benefits of each film and how we can assist you in your next project. There are thousands of window films on the market. Our job as consultants is to match the best film to your window. In order to do this we need to know what you want your film to do and how you want your windows to look. The Huper Optik Select Series is a truly remarkable line of film. It consists of Drei and Sech. In tone and clarity it is absolutely beautiful. The Select Series selects the safer visible light from the light spectrum and allows it through the window while stopping 99.9% of the UV light and up to 98% of the infrared light. The technology behind this product provides extreme performance without compromising aesthetics. The shades are as follows: Drei - medium, and Sech - very light. The film shown on the right is Sech. On the right is the Huper Optik Ceramic 30. This is a medium shade film and is the darkest of the Ceramic line. As you can see it blocks a significant portion of the glare and has a very natural and neutral color tone. The natural appearance is due to the nano-ceramic construction which is metal free and dye free. The Ceramic Series has the same performance as traditional shiny or reflective films but the Ceramic Series does not have the reflective appearance. Huper Optik’s Ceramic film is particularly neutral because of its patented two-ply construction. The Ceramic Series has 5 shades from extremely light to medium. They are as follows: C70, C60, C50, C40, and C30. 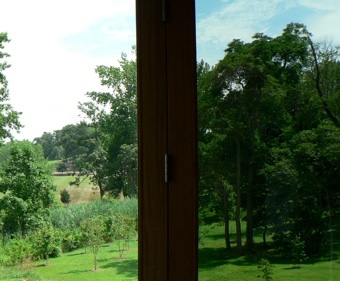 Residential Warranty: You receive a lifetime warranty on your window film. Your warranty is transferrable if you sell your home within 10 years. 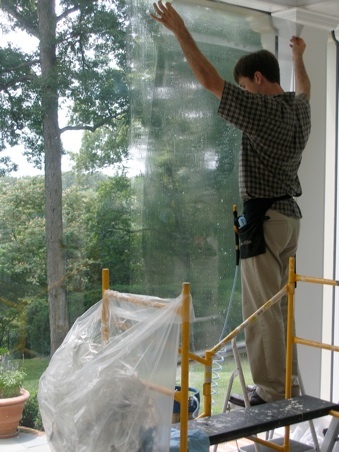 Many homeowners are worried about losing their glass warranty by putting window film on. Huper Optik matches the warranty on your glass to ensure no lapse of coverage. Commercial Warranty: 15 year warranty on your window film. Huper Optik matches the warranty on your glass to ensure no lapse of coverage.